We’re delighted to announce that Sandra won this year’s New Forest Open Art competition. Sandra Binney’s ‘Well Hello’ beat 185 other entries to win first prize in the yearly contest, which was once again sponsored by ExxonMobil at the Fawley refinery and chemical complex. 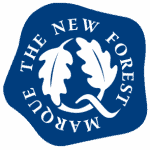 The contest is run by the New Forest National Park Authority and the New Forest Centre, Lyndhurst and recognises outstanding photographs, paintings and sculptures that have been inspired by the New Forest. Sandra Binney sells a number of her paintings in different mediums. Visit her shop for more information.